It is the VOICE that you embrace that eventually becomes your own. Life is a journey to or away from destiny. 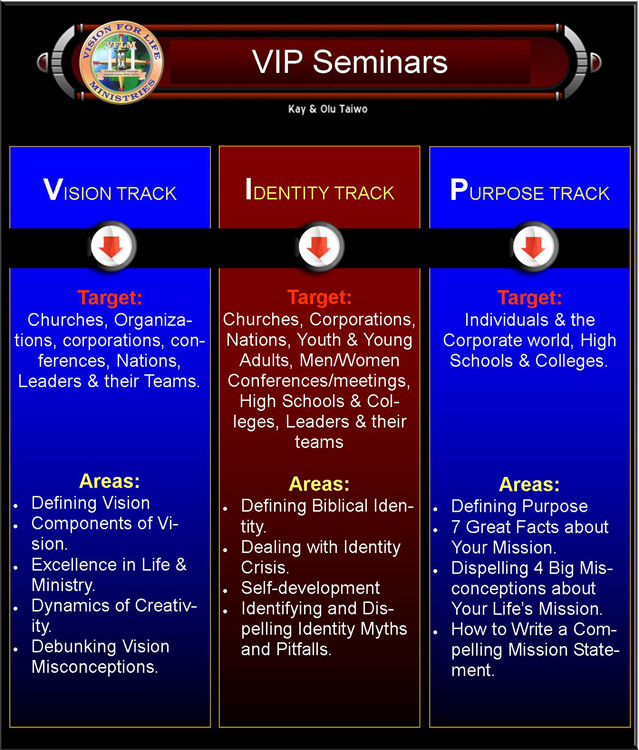 The Vision, Identity, and Purpose (VIP) Seminars were designed to help you make choices that aid you in the Discovery, Articulation, and the Pursuit of your Destiny.